One of the more practical uses for robot technology comes in the form of surveillance. The ability to remotely survey an area is useful, valuable, and easier to manage then you might think. Many organizations are utilizing a surveillance robot kit to get the job done. A surveillance robot kit can be programmed to patrol a specific route, or driven manually using a remote control, so you have options. There are benefits to both approaches. If you program a robot to patrol a specified route, then the operator is free to perform other tasks while the robot is en route. Once the robot gets to the location, the operator can then jump in and survey the area via the robot’s camera and/or microphone. This would be ideal for a location where the surveillance would be static, such as a night patrol at a facility, perimeter surveillance at a military base, or anywhere the lay of the land remains mostly the same. For surveillance of a location that may be more dynamic (such as a dangerous post-disaster site, explosive ordinance detection, or anywhere that the situation is not predetermined) then continuous remote monitoring would be the better solution. The operator would then be able to ascertain what is going on in the robot’s environment along the entire route. No matter how you employ a surveillance robot kit, the benefits can be profound. You can cover more space with fewer people and keep your personnel out of the way of possible harm. SuperDroid Robots has been building a variety of surveillance robot kits for many years now, and is considered an industry leader. If you are in the market for a surveillance robot kit, SuperDroid Robots can design a solution just for you. 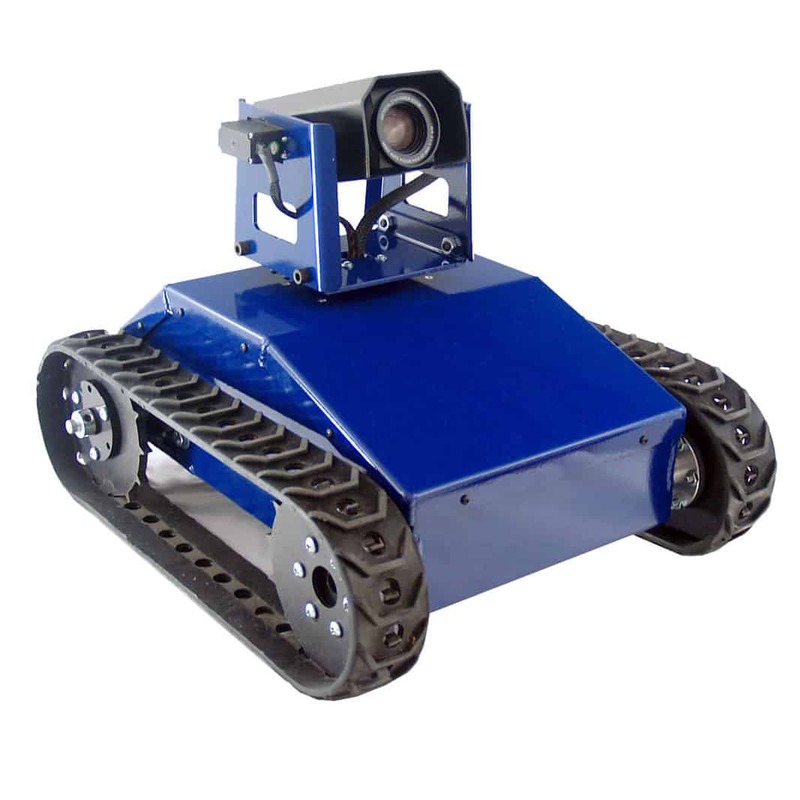 If you are looking for an easy-to-use inspection robot, or a more advanced tactical robot, contact us to begin the conversation. The LT2 and LT2-F Tactical Surveillance Robots are our best selling tactical solutions. They are a perfect balance of size, speed, weight, mobility/maneuverability, and capability. This tracked robot is perfect balance of speed, power, size, weight, and mobility. With all the features of the LT2/F Bloddhound, the Bulldog includes the addition of a removable Multi-Axis arm, which makes it an even more versatile tool. This is an enclosed wheeled All Terrain Robot with scissor lift and PTZ camera. 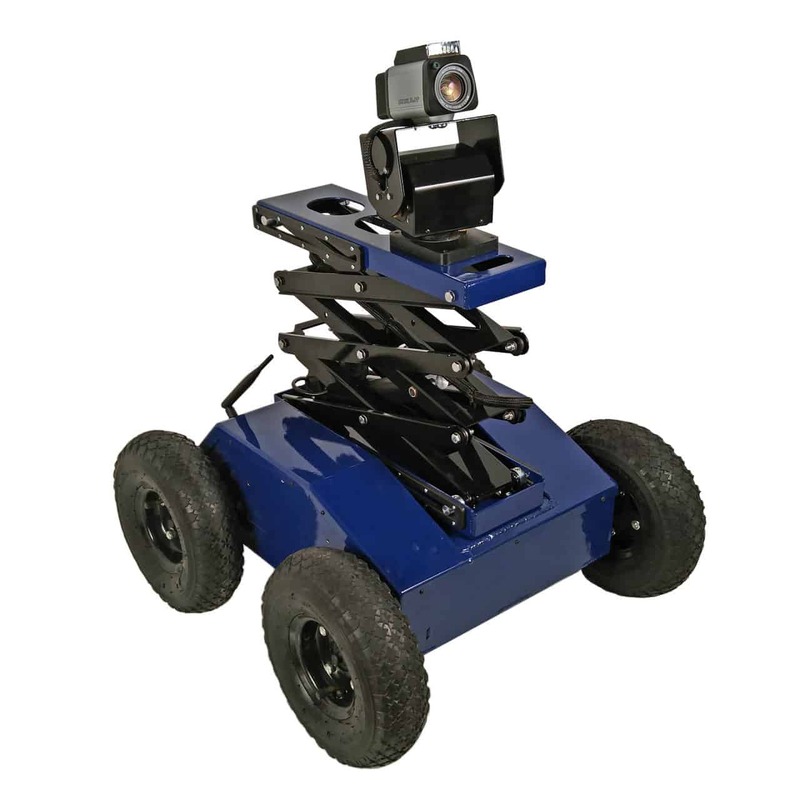 In surveillance or inspection situations, this robot allows you to see where most low profile robots can’t: onto counters, over beds and through windows. Click here for our full line of inspection robots!